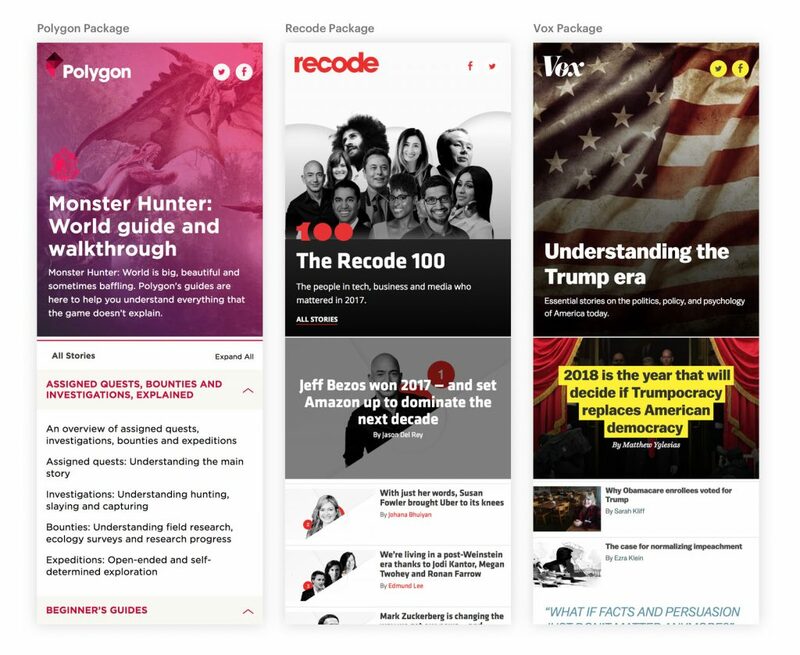 Launched last month, Vox Media’s new “package” format sounds anything but revolutionary. It’s technically a bunch of articles and related info about a precise topic, that’s meant to improve recirculation on each of the platform’s brands. It fits somewhere between a simple “related stories” mechanism and some editorial “obsessions“. In practice, it’s got more editorial consistency than a tag (each package is crafted manually by journalists) and even a glossy landing page. 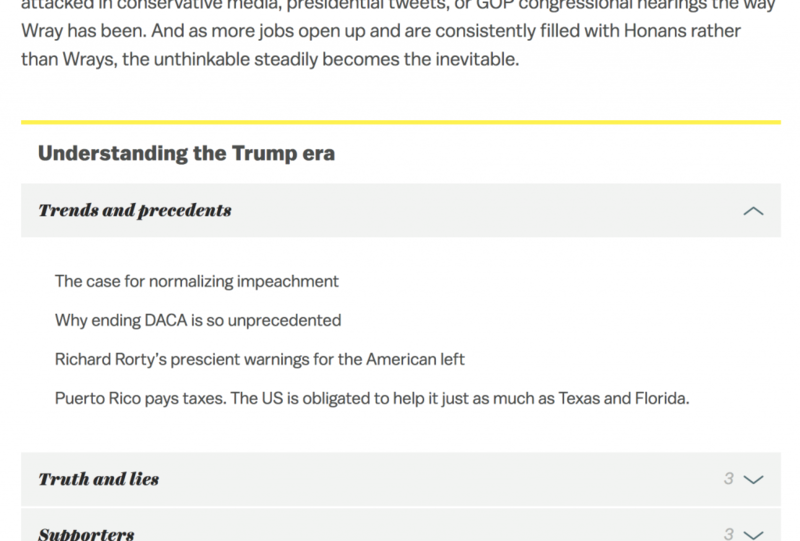 The landing page of Vox’s Trump “package”. Three examples for the landing page on a mobile device. In practice, it’s an obvious engagement booster but it also provides relevant context on the article pages, with visual call-to-actions. 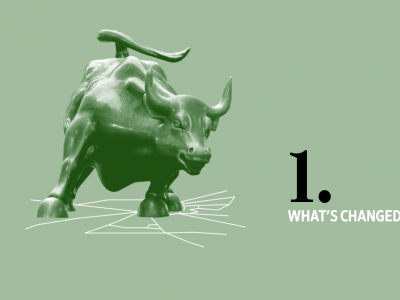 Each article is linked to its parent “package” with a clear call-to-action. On the bottom of the article, a prominent widget suggests all the other content from the same “package”, ordered in sections. 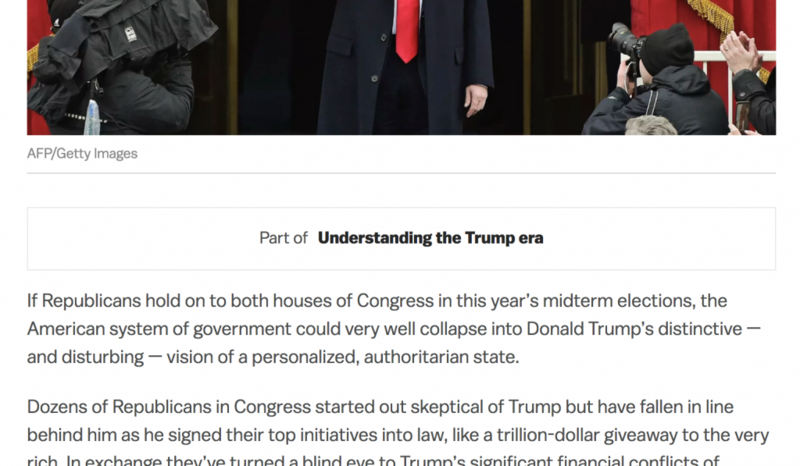 For more details: Nieman Lab and Vox Media’s Product blog. 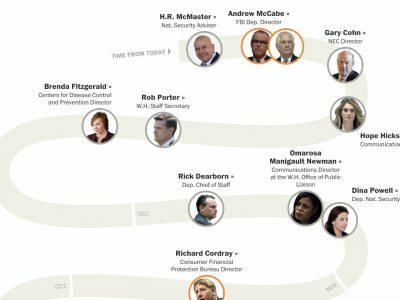 Previous White House: How many days since a high-profile departure?